Emerald Lake Lodge, Field, B.C. 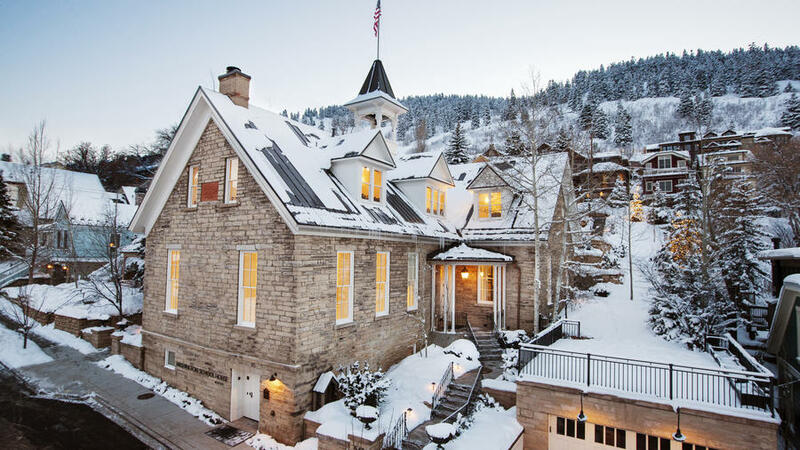 Cross mountain cool with the romance of a Paris apartment, and you get Park City’s Washington School House. The boutique hotel occupies an 1889 schoolhouse with 16-foot-high ceilings and limestone walls. The former classrooms are now 12 rustic-chic suites with reclaimed barn wood floors set off by crystal chandeliers, down-feather beds, and Pratesi linens. Soak in the heated pool terraced into the hillside, or have cocktails in the stylish ski lounge, then amble into downtown Park City, just a few hundred yards away. Rooms from $505; . The Family Room at Basecamp Hotel is like something a kid would dream up: ladders climbing to twin bunks facing a big flat-screen TV, paired with two queen beds topped by wool camp blankets. 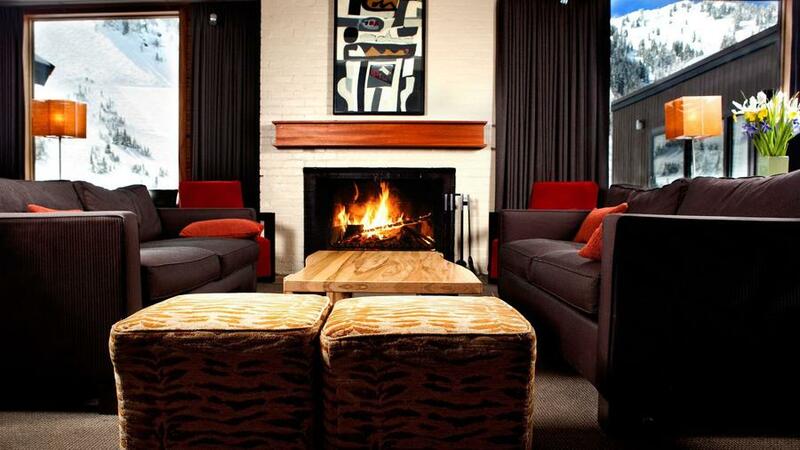 It’s one of 74 rooms in this modern, edgy remodel of an old-style motor lodge within walking distance of the slopes at Heavenly Mountain Resort. For aspiring young cold-weather campers, The Great Indoors Room comes with an indoor tent, faux-fire pit, woodsy wall mural, picnic table, and glow-in-the-dark ceiling stars. 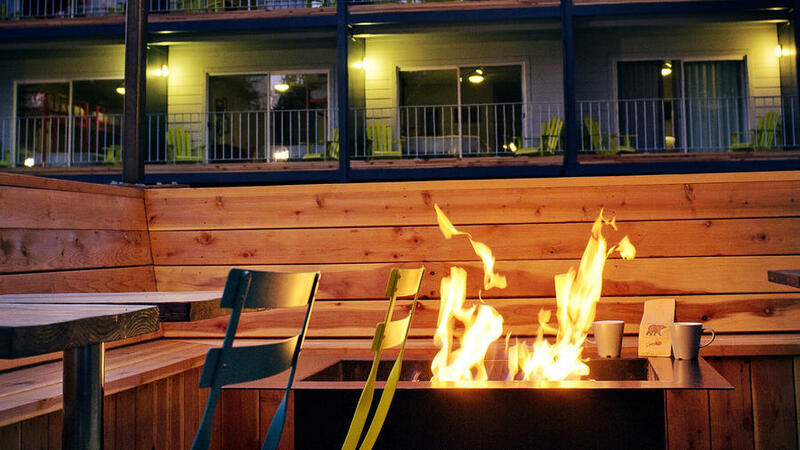 Outside, the playful spirit continues, with communal firepits for roasting s’mores. Rooms from $99; . 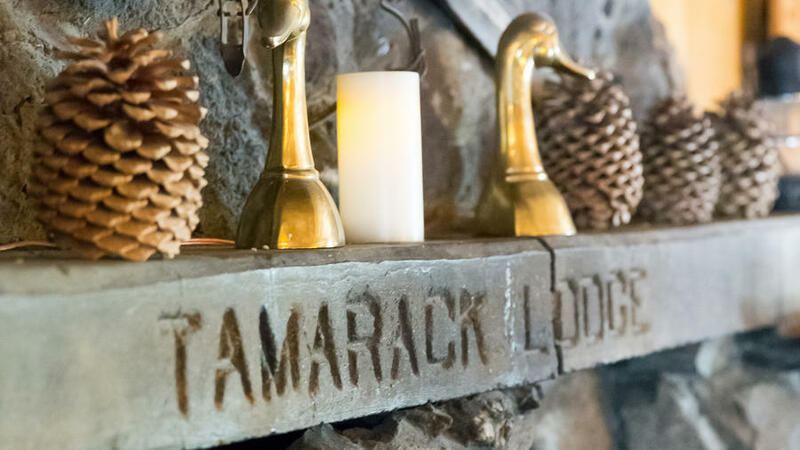 It’s rare to find a historic lodge that feels cushy by today’s standards, but the 35 studio to three-bedroom cabins at Tamarack Lodge are comfortable hideaways with kitchens, fireplaces, firewood-stocked porches, and iPod docking stations tucked amid the requisite knotty-pine paneling and plaid. They’re great for families with young kids—think timeless but indestructible, with sturdy coffee tables for games. The best part? 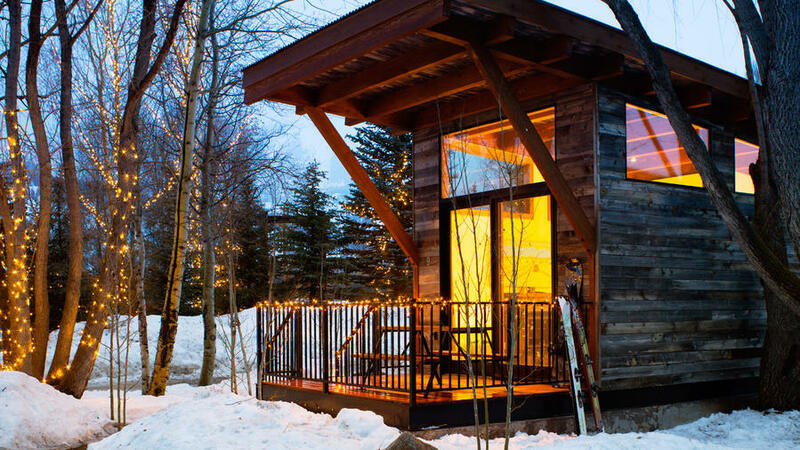 Having your own cabin in the snow means enough space for kids to be kids. Build snowmen and launch a snowball fight before heading to the lakefront dining room and putting your feet up near the fire. 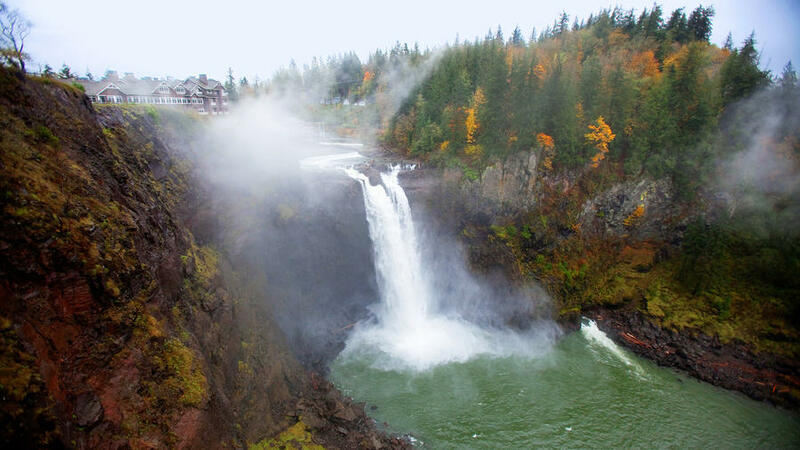 Cabins from $119; . 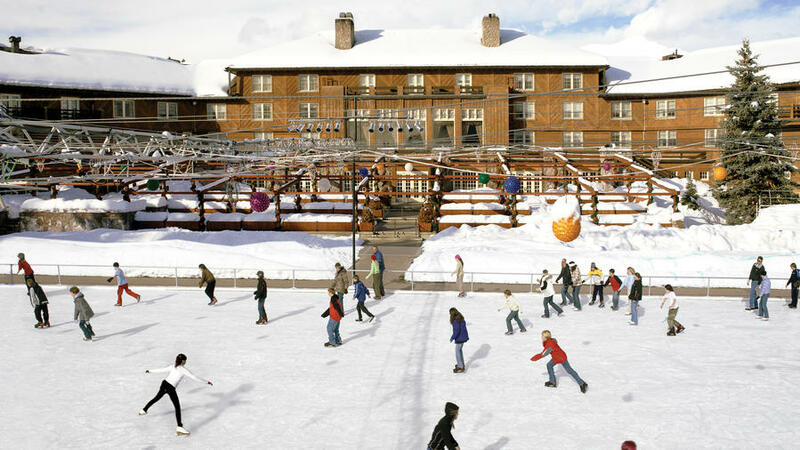 When one of the West’s most iconic resorts undergoes a major redo—only its second since opening as the country’s first destination ski lodge in 1936—you can’t help but hold your breath. But the revamped Sun Valley Lodge, which opened in June 2015, manages to be both modern and classic, maintaining the intimate, elegant feeling that’s always made it special. The 148 outdated guest rooms were remodeled into 108 larger rooms, all with bigger bathrooms and soaking tubs and some with fireplaces. (The south-facing rooms with balconies have the best views.) 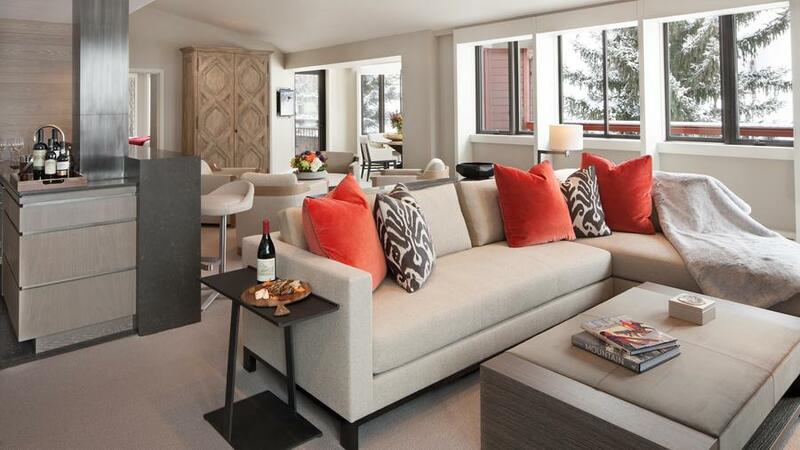 Book a suite in the main lodge, or opt for more space in the one- to three-bedroom lodge apartments next door. Check out the lobby’s framed portraits of former guests Ernest Hemingway, Marilyn Monroe, and Gary Cooper posing in ski pants, as well as a campy group screening of Sun Valley Serenade, the 1941 movie starring Norwegian Olympic figure skater Sonja Henie. One-bedroom apartments from $289, lodge rooms from $459; . living rooms. 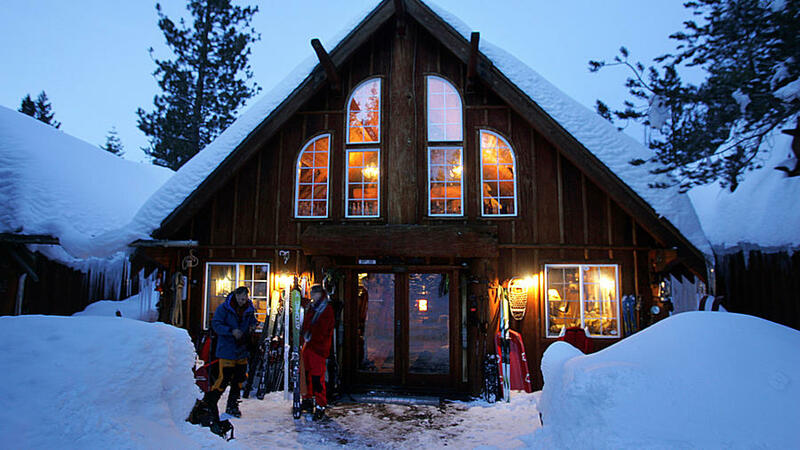 The owners, who offer a range of guided adventures including snowshoeing through sequoia groves, say winter is their favorite time of year in Yosemite: “The pace is slower and the snow makes everything even more spectacular.” Cabins from $145; . Set near the western edge of the Alaska Range, Winterlake Lodge is about as far away as you can get and still revel in cold-weather comforts. Five log cabins and a main lodge overlook a mile-long lake, frozen in winter. The vibe is rustic; the highlights, being so remote and in the remarkable care of the Dixons. (Carl was recently named one of the world’s top five wilderness guides; Kirsten is a Cordon Bleu–trained chef.) Join them for dog-mushing courses or a cooking class. Winterlake is also a checkpoint on the Iditarod Trail, which means a front-row seat as dog teams dash by. Three-night packages from $5,345/person, all-inclusive; . 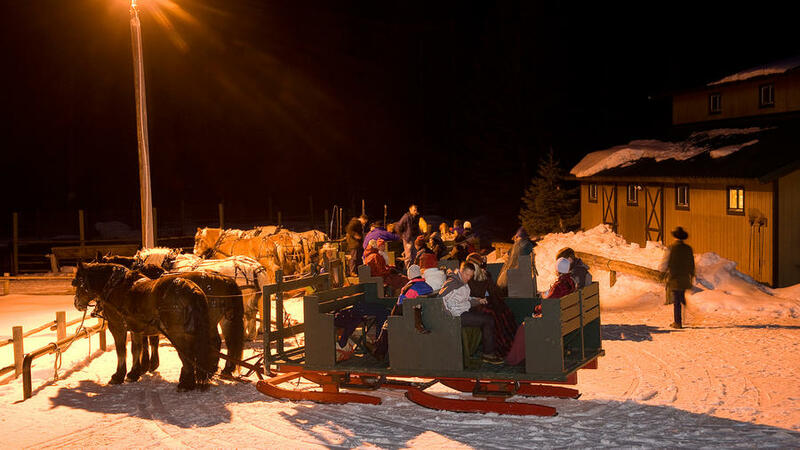 Alta Lodge is a “see you again next year” kind of lodge, where die-hard skiers and friends have been returning since 1940 for the range of slopeside accommodations and the feel of a traditional skiers’ lodge (no TVs, but boot driers in every room). 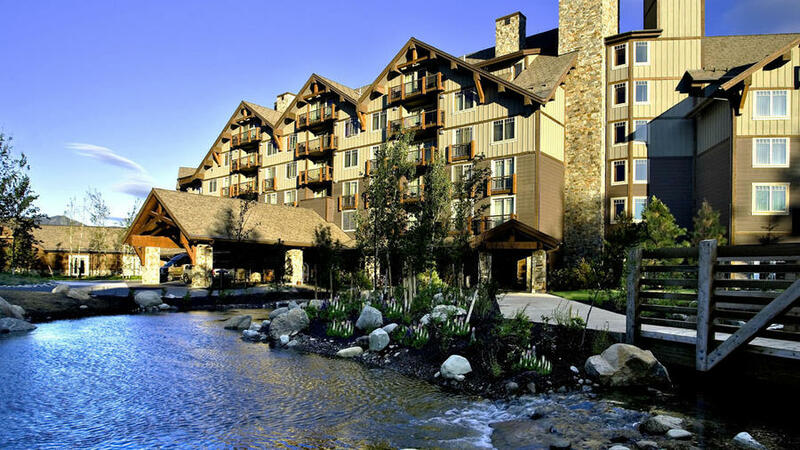 Hearty breakfasts and four-course dinners are included in all room rates, plus one-hour pre-ski yoga classes. 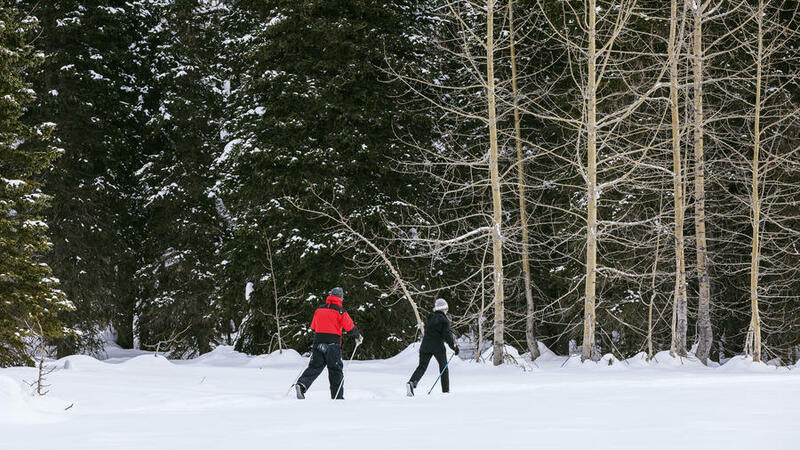 And the best perk is ski-in, ski-out access to Alta’s legendary steep runs and fresh powder. Rooms from $333; . 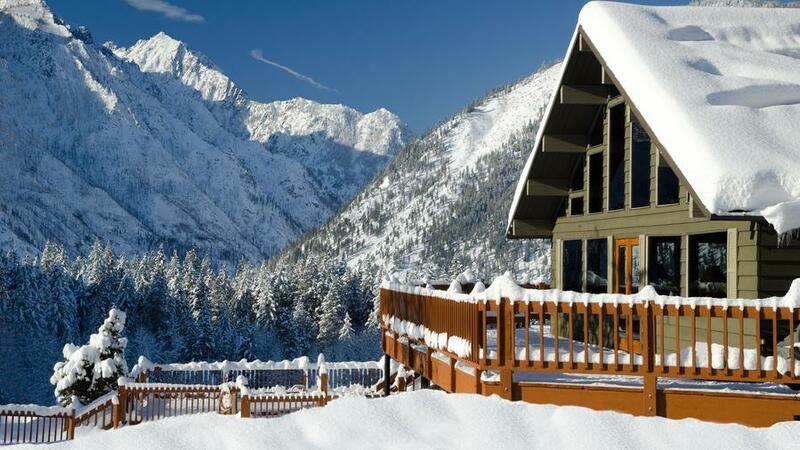 In the shadow of the Cascades, Mountain Home Lodge’s two private cabins make quintessential winter hideouts—the kind that celebrate nature’s ruggedness while providing luxurious ways to experience it. Since the steep road to the resort (perched 1,000 feet above Leavenworth) is impassable in winter, the only way up is by private snowcat. 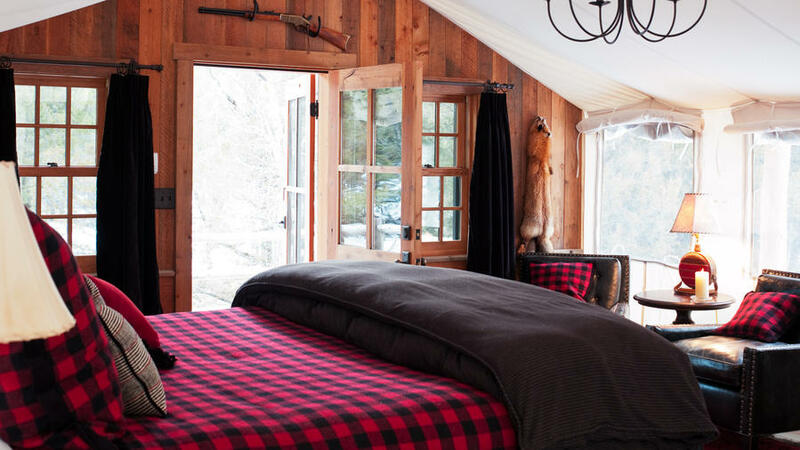 Once you arrive at your snowy aerie, you can spend days enjoying 30 miles of ski and snowshoe trails, then at night sleep in an artisan-built pine king bed. 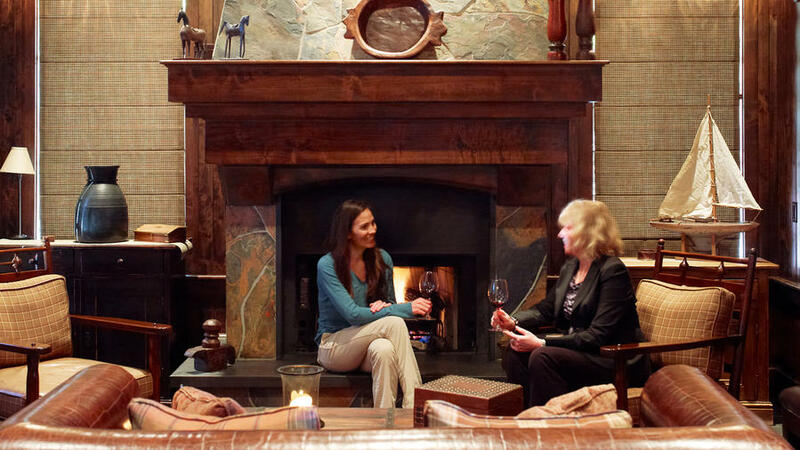 Winter rates include breakfast, lunch, and a nightly four-course dinner. 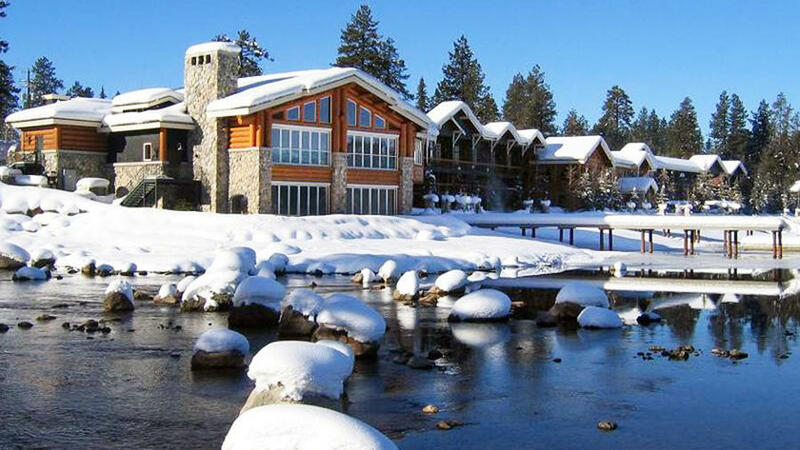 Cabins from $680; . Built in 1885 as a Croatian dance hall, the downtown digs for Scarp Ridge Lodge now make a way more luxe midwinter escape. The seven-bedroom, 13,500-square-foot pad comes with a personal chef and world-class wilderness guides on call. 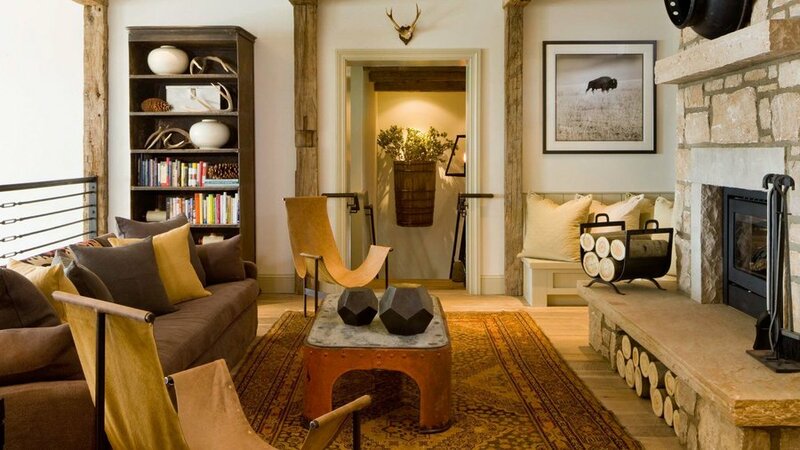 Rooms are rustic and refined, warmed by reclaimed wood and built-in sound systems. 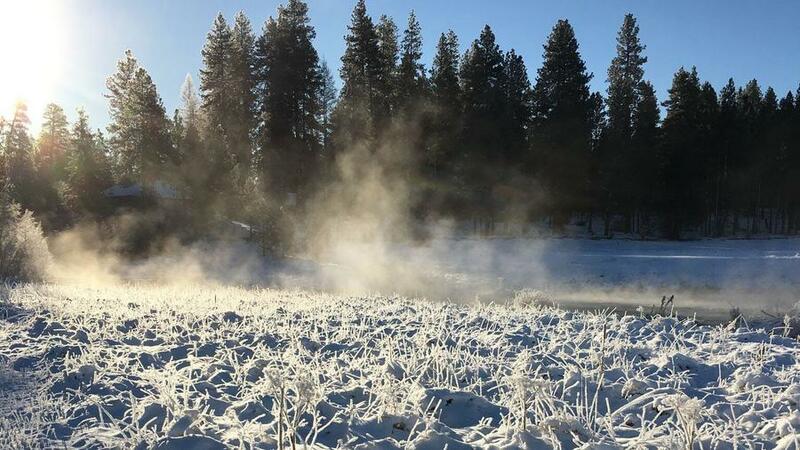 Each morning, local outfitters ferry you to the West Elk Mountains, where fresh tracks are guaranteed as Scarp Ridge has private access to 1,000 acres of ski terrain. After, warm up in the lodge’s indoor saltwater lap pool or rooftop hot tub beneath starry skies. From $15,000/up to 10 people; . Free Spirit Spheres, Qualicum Bay, B.C. 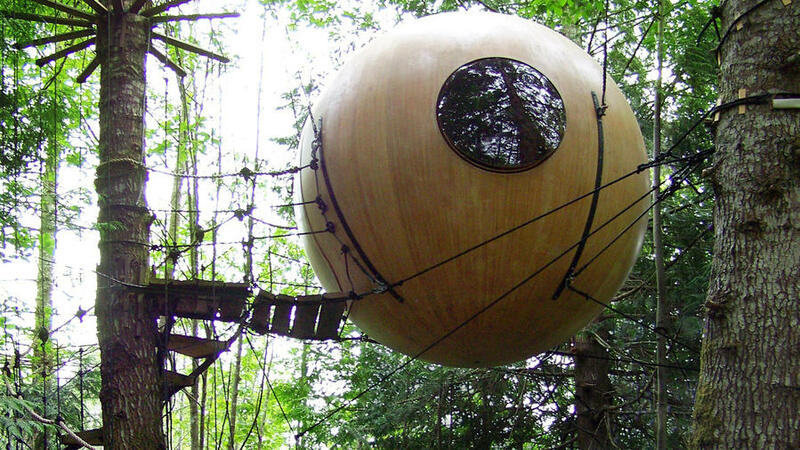 Combine the feeling of swaying in a hammock with a treehouse and a warm cabin—and you have Vancouver Island’s Free Spirit Spheres. The 10-foot-wide structures bob like Christmas ornaments among the boughs, and “even in winter, a sphere is a warm place,” says founder and builder Tom Chudleigh. Made from cedar or Sitka spruce, the spheres have electric heat and built-in beds big enough for two. Hanging-bridge ladders grant you access—the spheres are 10 to 15 feet above ground—and circular windows look onto the forest. The best perk? You can fall asleep swaying in the breeze. Spheres from $142; . experiences, such as skiing the mountain before it opens in the morning. Rooms from $413; . Overlooking a stretch of the Metolius River in Central Oregon, about 150 miles southeast of Portland, House on Metolius served as a private retreat for the Zehntbauer family (who helped create the Jantzen swimwear line). Today it’s a perfect place to stage that get-away-from-it-all family retreat or Big Chill–style friends’ weekend. 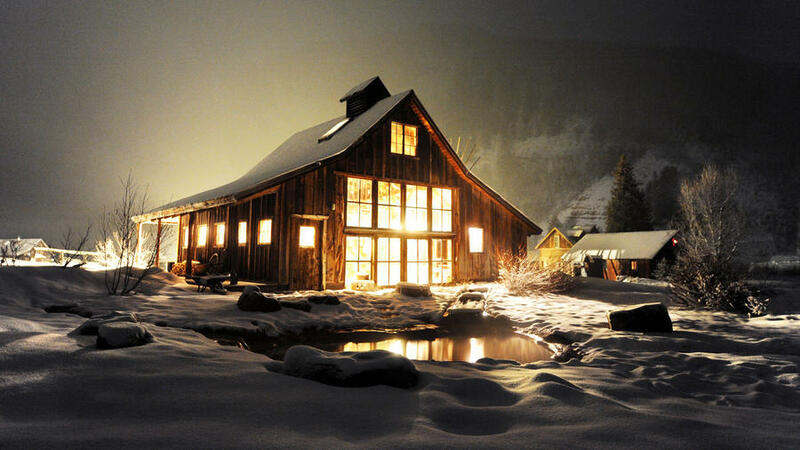 The lodge is wonderfully understated, and you pretty much have the run of the place for cross-country skiing, snowshoeing, and winter fly-fishing; there’s downhill skiing at beginner-friendly Hoodoo Ski Area, about a half-hour away. Or just hang out in front of a crackling fire. The setup: 200 acres, an eight-room main house with big views of Mt. Jefferson, and four of the five vintage cabins available in winter. 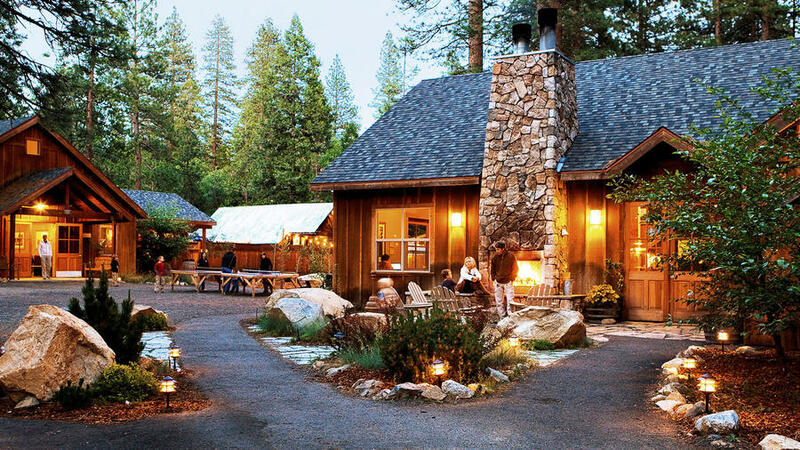 Cabins from $219, lodge from $2,450; .